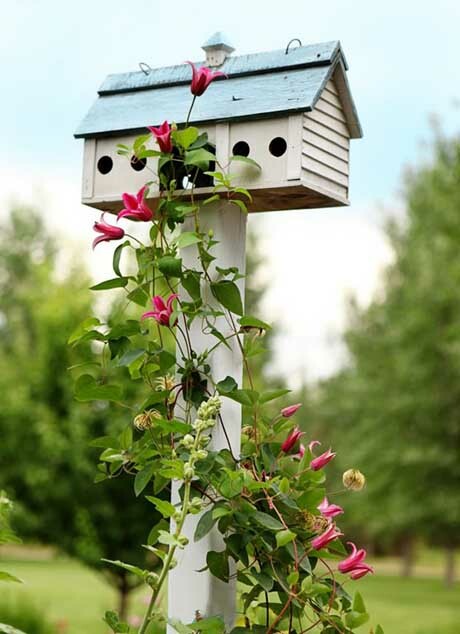 If you’re going to install a birdhouse in your garden, you might as well make it a pretty one – like this very cute avian home entwined with clematis. It’s just the thing for a cottage garden or large country garden. I can’t wait until my clematis start blooming. One of the varieties I have, called ‘Elizabeth’, has gorge white blooms with a chocolate scent. 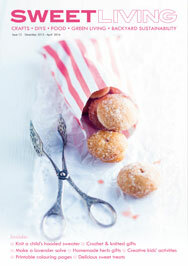 The above image is from Meadow Brook Blog.